Moms are undeniably awesome. And as it turns out, they DO know best. 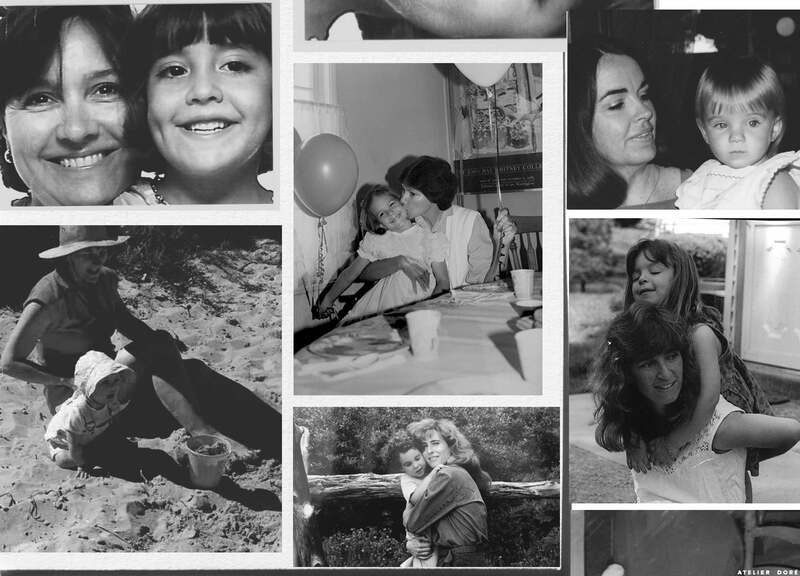 To celebrate Mother’s Day this year, we each decided to share one (of the many) things we’ve learned from our mothers. With the added bonus of seeing everyone at the Atelier in baby form! Happy Mother’s Day! Alison: Her words and actions taught me that it’s not worth trying to be anyone other than myself. Be nice, be humble, be generous, and the hardest part, accept others as they are, without judgement…with only the rarest exceptions. Caitlin: My mother taught me the skills (I think) we all should master: kindness, respect and patience. She did this not only by the tone she set in our home, but also by example, in her job as a teacher in the LA public school system for over 25+ years. From special education, to 2nd grade, she’s helped hundreds of kids be the best version of themselves… and I’m so proud of her for that. Happy Mother’s Day mom! Carie: One very important thing I learned from my mom is that being with someone who makes you laugh makes up for almost everything. Times get tough and relationships are hard work, but if you have laughter, you can make it through anything. My parents have been married for 47 years and they still crack each other up. Emily: My mom always told me that I would always be okay as long as I was always doing and being my best. That helps me keep things in perspective, and always hold myself– not others–accountable for my actions. Britt: My mom is an artist. She’s always painting and sketching and notices beauty wherever she goes. She taught me to look at the world with an artist’s eye, find the beauty in the little things and always think creatively. Pia: She always told me to try everything. To her, no experience is a waste; you can learn from them all. Because if you don’t try, how will you ever know? She encouraged me to find out what I want from life, to take risks- follow my dreams (even if it fails), move abroad (even if it’s hard and scary), find someone to love wholly (even if it ends in tears). Vanessa: One of the things I learned from my mum is the disciplined pursuit of less – and sometimes, the benefit in doing nothing at all. Never equate it with laziness or lack of ambition. Slow down, do less and you’ll get more out of (mostly) everything. Audrey: Ma maman… taught me how to be a boss. She’s a wife, a mother and a very successful and powerful business woman. I watch her lead in work and life with strength and unshakeable determination. She gave me the incredible gift of never questioning the fact that as a woman I could and even had to express my opinions loudly have it all. Natalie: My mom taught me many things just by leading by example. I learned from her that you can overcome anything, kindness is key, and it’s ok to cry (something we maybe do too much). Brie: She always said “Patience. You must have patience.” And something she didn’t talk about but perhaps imparted by being a single mother was that you can do anything if you are an independent, intelligent women with confidence. These are wonderful, beautiful, inspiration-full. I lost my mother just over a year ago. Oh, to be able to turn back the clock and tell her a million times more how wonderful she was. Because it was never enough. Hug and kiss yours while you can. Lovely post. Happy Mother’s Day to all that are mothers. I learned so many valuable lessons from my mother. One that has taken me so far is to keep going. NO MATTER WHAT! I love this post; it takes a while to realize what your mom gave you. My mom gave me the gift of reading books and learning things, la culture in French! She kicks all our asses at Trivial Pursuit, she knows so much! I used to borrow her books from her bookshelves, but for years now, I’m the one who introduces her to new authors! Today, my daughter is 12, she tells me she loves me all the time and when we walk on the street, she’s the one who reaches for my hand to hold! So sweet!! Lovely post and great inspiration! I’ll post one in my mum as well in two weeks when it’s Mother’s Day in Sweden!